Chapman University Dale E. Fowler School of Law’s Diversity Initiative Symposium and Publication hosted its inaugural symposium, Blinded Justice: A Discussion About Whether the Legal System Values and Protects Diverse Communities, on March 3, 2016. 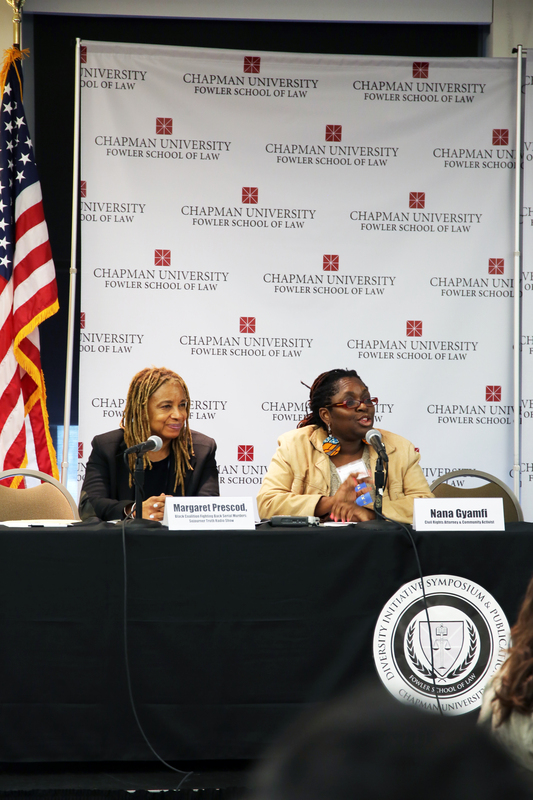 The symposium invited both legal practitioners and social activists for a candid discussion about unequal justice in diverse communities. 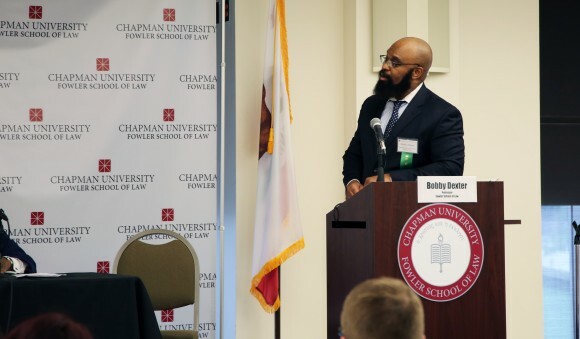 Asylum law is stacked against the poorest and most vulnerable of asylum seekers, panelists asserted in the first panel moderated by Orange County Hispanic Bar Association Chief Financial Officer Darrell P. White and Orange County Hispanic Bar Association Board Member Sasha Tymkowicz. Munmeeth Soni, an immigration advocate with the Public Law Center, opened the discussion with an overview of immigration procedures and the statutory grounds under which an applicant may qualify for asylum. Those seeking asylum after being threatened, beaten, raped or tortured often are unable to articulate their experience in a way that will satisfy current U.S. asylum statues, she noted. Gary Silbiger, a member of the National Lawyers Guild Los Angeles Chapter’s Immigration Court Watch, said he has also documented numerous procedural abuses while observing in immigration court. He noted a failure of judges to provide the legal guidance to pro per applicants that the judges are supposed to provide. Shockingly, panelists explained, procedural shortcomings are so rampant in immigration court that having an attorney may not help. They spoke of the “rocket dockets” – courts noted for their speedy disposition of cases – that push asylum seekers, particularly undocumented children, through the court process without sufficient time to prepare their case. Likewise, attorneys may not have any chance to speak privately with their clients who appear in court from a distant location via video conference. 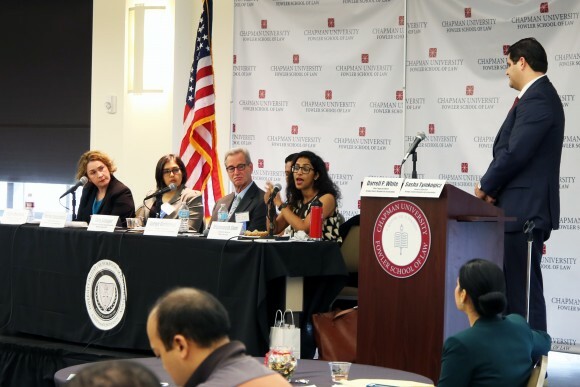 Fatima Dadabhoy, with the Council on American-Islamic Relations, discussed procedural abuses of those politically disfavored, particularly Muslim immigrants. She noted that she represents clients whose asylum and immigration applications have been delayed by years after the FBI demanded information that her clients did not have. Jorge Guitierrez, founder of Familia: Trans Queer Liberation Movement, pointed to the systemic abuses faced by gay men and transgender women, politically disfavored populations with high deportation rates. Panelists proposed a variety of solutions. At the top of their list was creative lawyering; panelists said they spend significant time conducting client interviews to find some way to connect their client’s abuse to a statutory ground for asylum. Their second suggestion was to incorporate into asylum law domestic violence protections for women and children subjected to abuse in home countries that not only fail to prosecute abusers but in fact tacitly approve of the violence. And finally, panelists encouraged others to get involved as volunteer attorneys to assist with asylum claims and representation for activists arrested at protests outside federal immigration facilities and private detention centers. 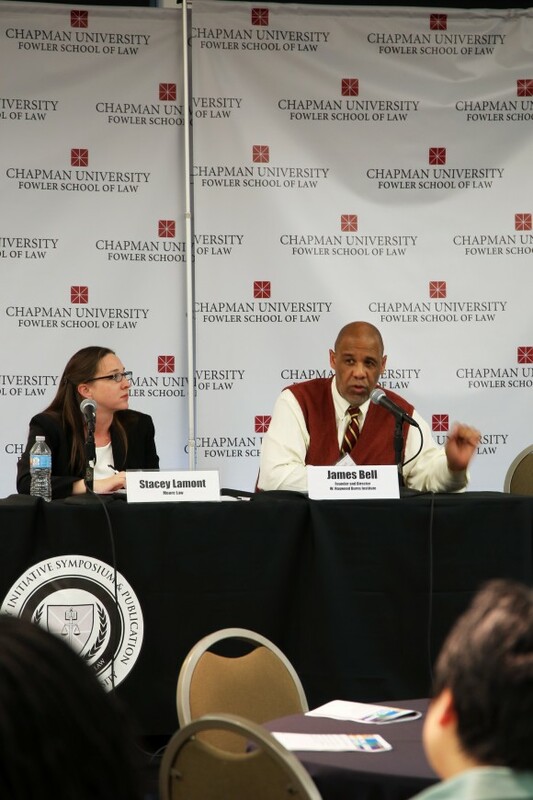 James Bell, founder and director of the W. Haywood Burns Institute, and Stacey Lamont, who handles school expulsion defense cases at Moore Law For Children, addressed systemic causes of the school to prison pipeline and its impact on local youth. At the heart of the crisis, Bell identified zero tolerance policies and the outsourcing of student discipline from schools to law enforcement. Zero tolerance policies criminalize the developmentally normal behavior problems of children. When school officials stop taking corrective measures within the school and instead rely on suspension or calling the police – whose tool bag is limited to warnings and arrest – the perfect storm is created that ensures large numbers of young people will have academic gaps and a criminal record. According to Lamont, whether a student receives a suspension, expulsion, or arrest, there is a ripple effect on the child’s future. The solutions Bell and Lamont recommended began with eliminating zero tolerance policies. Schools must reclaim responsibility for student discipline. The discipline employed must reflect an understanding of normal juvenile brain development and the goal of keeping children in school. At the same time, schools must increase academic standards and faculty diversity. If children are going to work for success in school, they must be challenged, engaged, and kept in school. 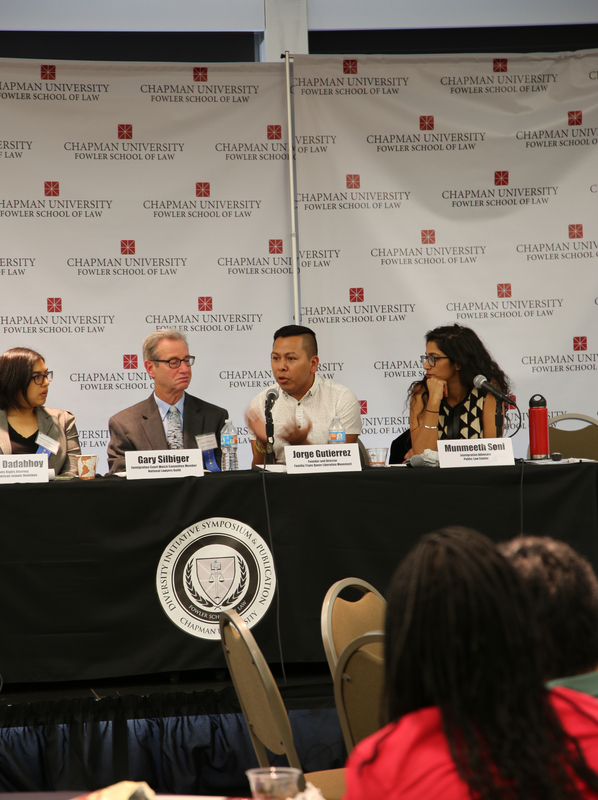 The final panel of the evening got to the heart of the symposium question, whether the justice system values and protects diverse communities. The overwhelming response from the panel: No. Margaret Prescod, founder of the Black Coalition Fighting Back Serial Murders and host of the nationally syndicated Sojourner Truth radio show, put the question in context. She discussed the roots of policing in America which stem from the early slave patrols and developed from there as a means of social control. Attorneys Nana Gyamfi and John Burris spoke of their work to hold police accountable for misconduct. Burris, who has been litigating high profile civil rights cases for more than 40 years, spoke of the revolution that video footage has had in these cases. Twenty years ago, when he was representing Rodney King – the first high profile police beating that was videotaped – the video had little impact. Today, video footage can make all the difference. Gyamfi was quick to point out that video recordings, particularly those from police dash cams and body cameras, are not a cure-all and in fact cause problems because rules are not clear on their usage. She discussed instances where prosecutors have denied having footage against one defendant, the relevant footage being used by the prosecutor in another related case. Her most troubling issue is with the selective use of the cameras. In one case the police turned the cameras on and off repeatedly throughout the course of their interaction with her client. The judge had no issue with the gaps in the footage the prosecutor seeks to use. Burris advises that the solution is to move forward with video usage and let rules be established through impact decisions. 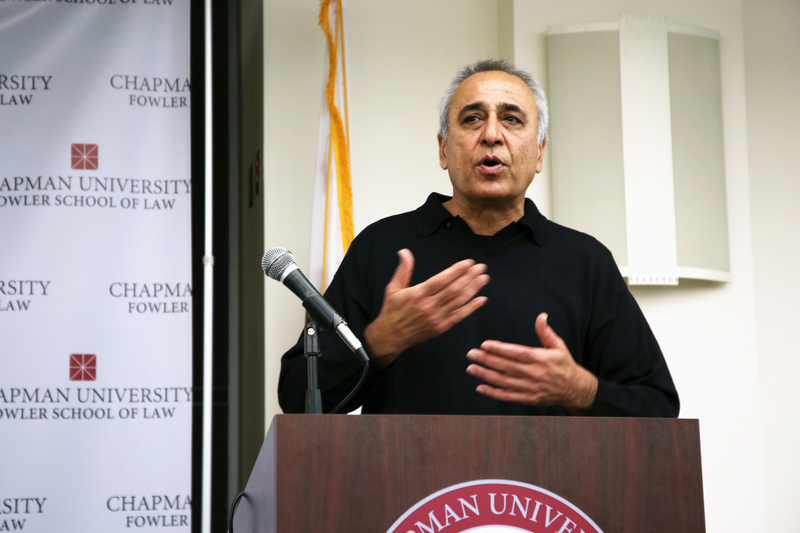 Hamid Khan, activist and community organizer who has advocated for the empowerment of marginalized communities across Southern California for decades, delivered the keynote address at the 2016 Social Justice Symposium at Fowler School of Law. Khan began his discussion on the impact of modern policing with this supposition that police exist to protect and serve. But, he posed the question of whose interests are served. To arrive at the answer, and to see the systemic flaws in policing, Khan asked attendees to consider the structures of modern policing. Specifically, what informs those structures, how they are guided, how policies are created, who is involved in crafting those policies, and how those policies are financed and enforced. Increasingly the craftsmen of these policing policies are police officers and the architects of federal counter-intelligence/counter-insurgency policy. Khan noted the growing presence of police officers on the Los Angeles City Board, a city that leads the nation in killings by police. The cities are receiving federal financing for anti-terrorist policing, yet the policing disproportionately targets the black community and those who advocate for social change, he said. Khan noted that more than 30 percent of suspicious activity reports, a focus of the federally funded “anti-terrorism” program, were opened against black people. In addition to the surveillance, local police departments are the beneficiaries of tremendous amounts of military grade weaponry. The deployment of armed drones and militarized “Robocops” against the “other,” he said, belie any thought that the police are there to protect and serve marginalized communities. Khan urged attendees to consider the information they heard during the symposium as a call to action. He reminded guests that there is opportunity for collective learning and engagement, and advised everyone to get involved in some way, such as providing legal research, pro bono representation or committing to attend further education and action events. The onus is on each one of us to shed the shackle of passivity that a control centered system has placed on us, he said. View the keynote presentation webcast.